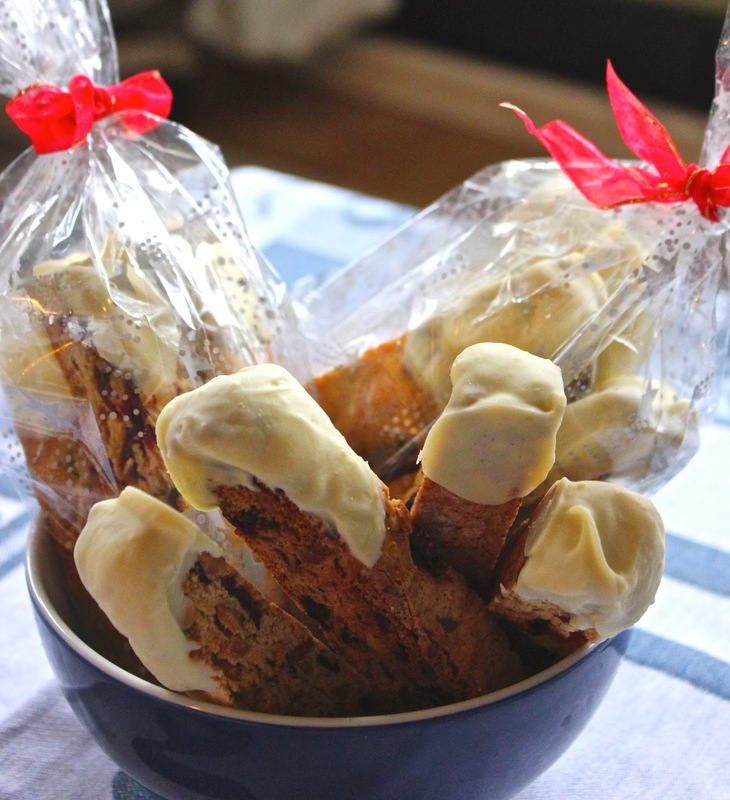 'Tis the season and all is festive in the kitchen! It took me some time to get in the festive spirit this year, which is odd since I absolutely love the Holidays! The colours, the smells, the music and the all around sparkling spirit in the air. I finally climbed onto the Christmas band wagon and got my ar*e in the kitchen. My place of comfort. I'm taking on this season now, like a bulldozer! These are ideal Christmas biscotti… the red berries, the green nuts and the white chocolate... hellooo… perfect much? These look so great wrapped up and given as Christmas goody gifts. 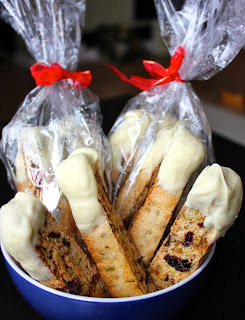 So here we go, my first baked good of the season… Cranberry and Pistachio Biscotti - dipped in white chocolate. Heavenly! - Wrap up as desired!